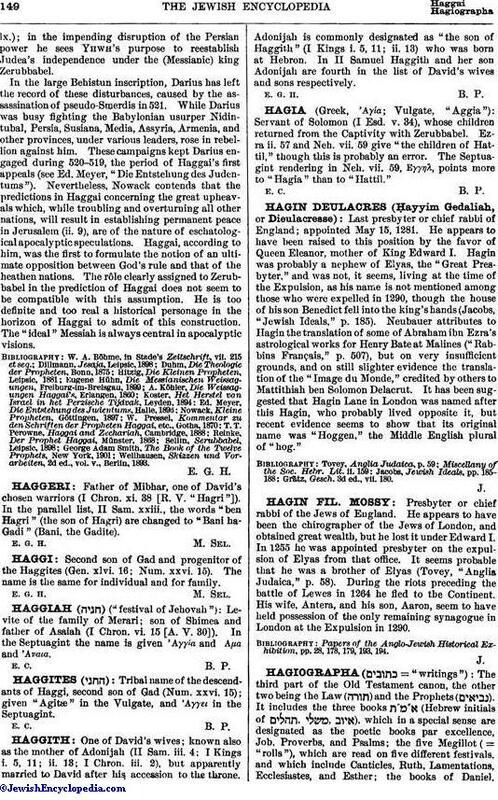 Second son of Gad and progenitor of the Haggites (Gen. xlvi. 16; Num. xxvi. 15). The name is the same for individual and for family.